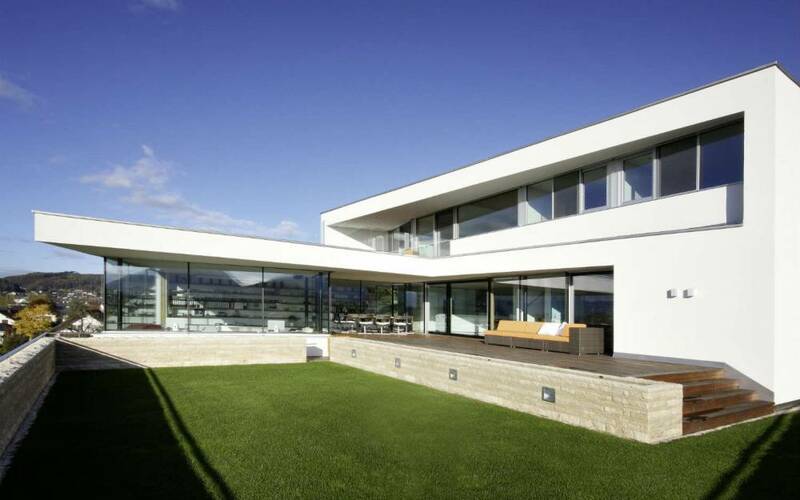 Whether you are looking for lift and slide doors, all-glass corners, fixed glazing solutions or a combination of all of them, Internorm has a range of innovative oversized architectural solutions for any build. Each product is made to measure and is custom-made to your individual requirements. 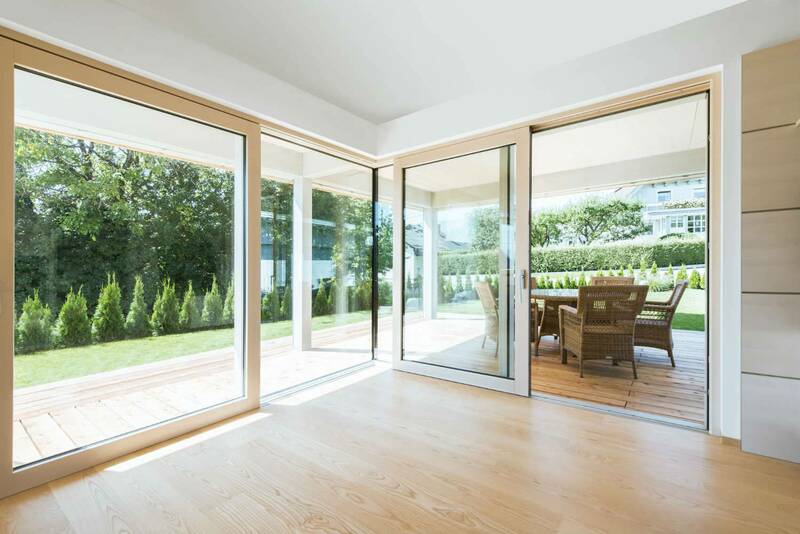 The lift-and-slide door can also be combined in all models with fixed glazing and all-glass corners. The glass corner is not coupled, but directly installed with the lift-and-slide door to offer greatest possible brightness. The different models provide many design options and numerous opening versions. 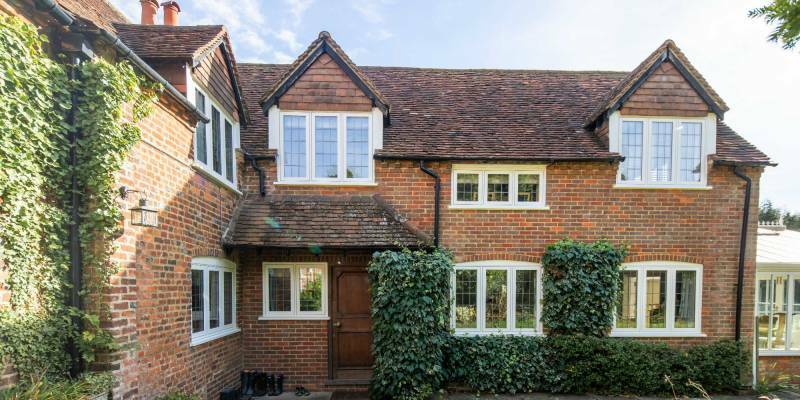 Cherwell Windows is an Internorm 1st partner that means we have met the strict criteria set out by Internorm to sell their products – from the initial consultation, through to installation, and up to after sales service. 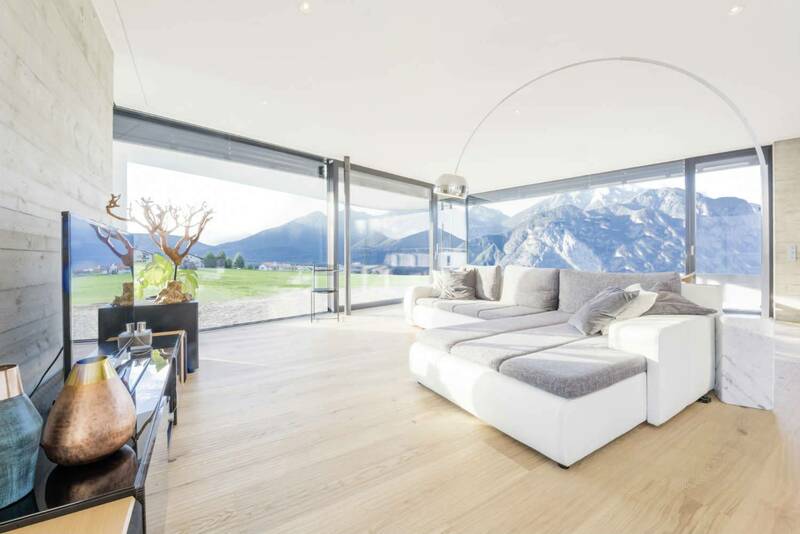 The new timber/aluminium lift-and-slide door paves the way to unique perspectives. The narrow frame and large glass areas allow generous amounts of light into the building creating a spacious living environment. 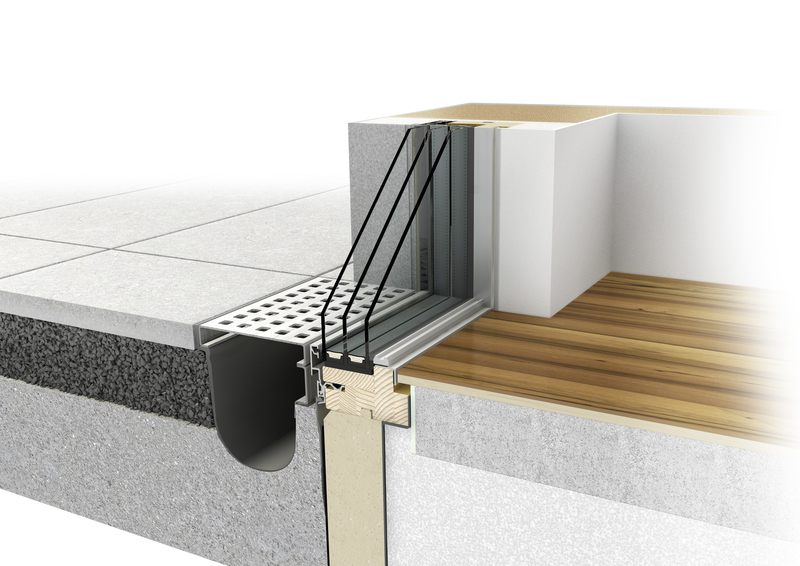 The new glass fibre threshold technology together with standard triple glazing offers the highest level of thermal insulation – which certifies it suitable for passive houses – and high torsion resistance. The low threshold prevents tripping hazards and is ideal for wheelchair accessibility. 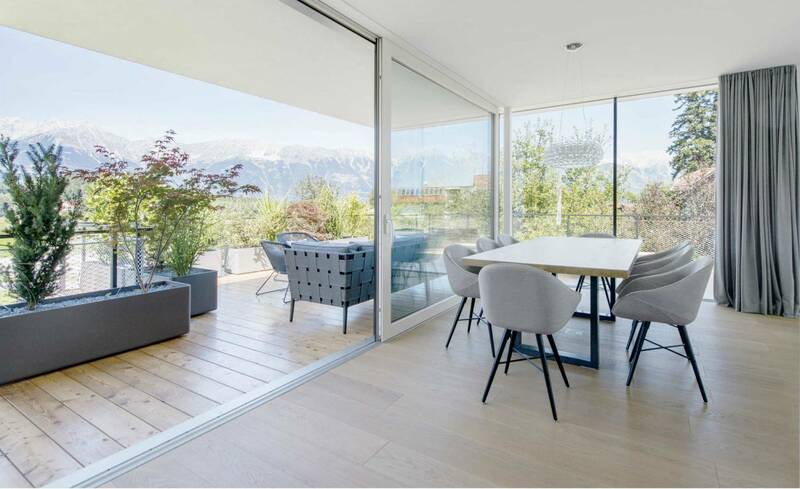 The lift-and-slide door features a continuous timber appearance, which together with the patented glazing system in the fixed element enables glass exchanges even with completely rendered frames. You can choose between three handle versions allowing the design to be adapted to the respective window design style – rounded or square. 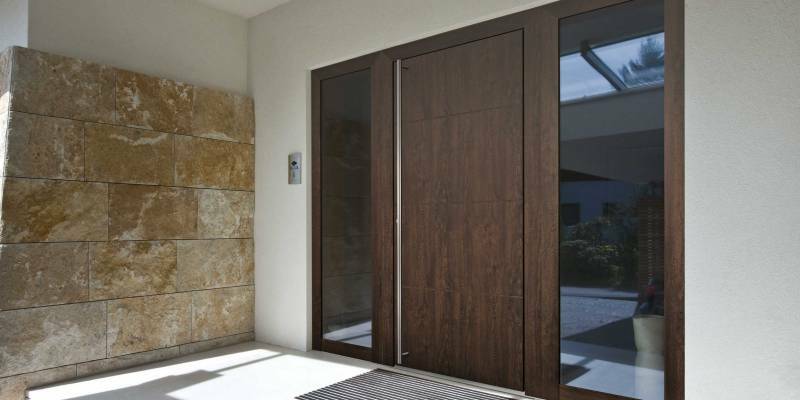 Additionally, the lift-and-slide door can be equipped with Venetian blinds (also with chord tensioner), slats with light control and a wide insect protection frame. 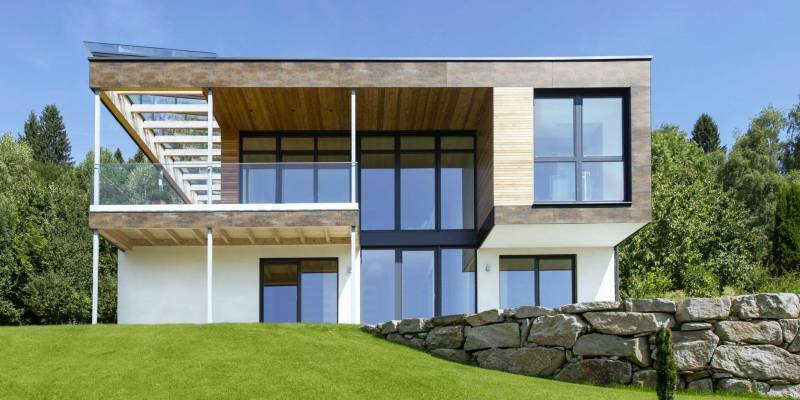 An unlimited choice of colours for both the outside aluminium surface and inside timber surface – matching your timber/aluminium windows well. 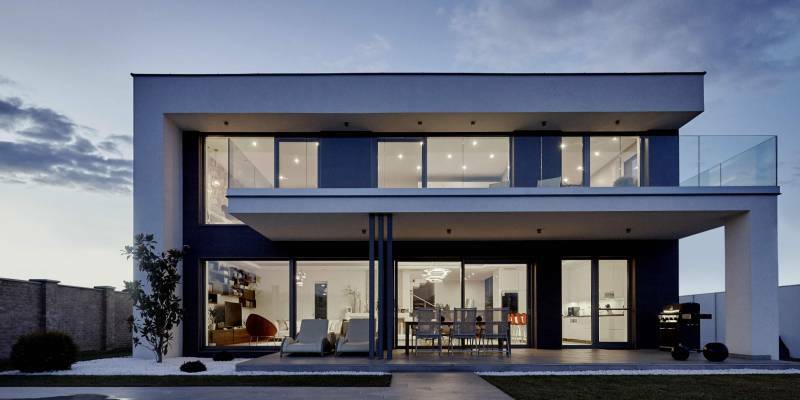 All-glass appearance for modern glass architecture. Three attractive handle designs to choose from – available in lockable and non-lockable versions. All hardware parts are integrated (milled-in flush) – for perfect design. Narrow frame profiles give the greatest possible view – door can be rendered completely on three sides. Patented guide rail with integrated bump stop – concealed within the frame – for perfectly smooth running and better security protection. Patent pending for fixed element glazing directly in frame (no visible sash profile) – therefore narrow view widths. Easy lifting and sliding of sash up to 400 kg. 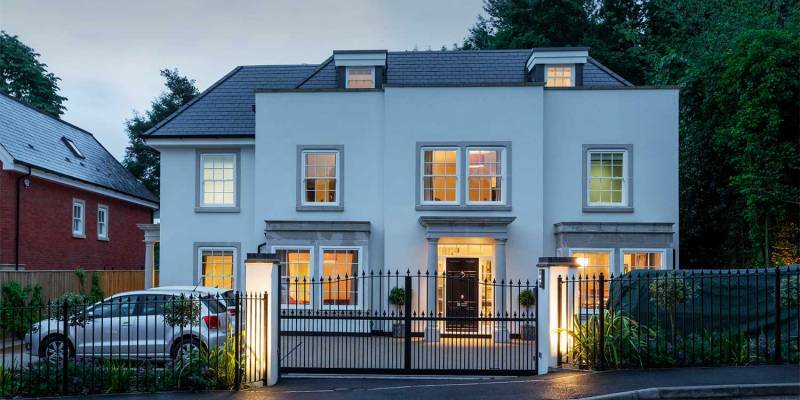 Additional doors can have a sash weight starting from 150 kg for perfect smooth running. 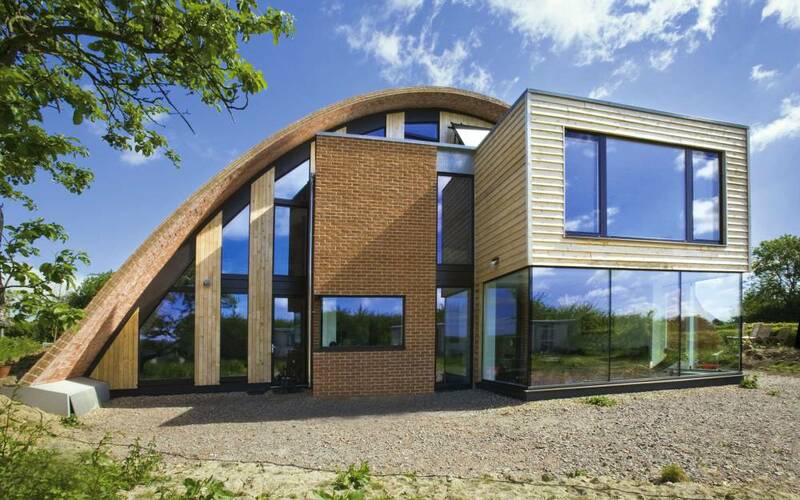 Large-scale glazings which can be completely integrated into the brickwork, create unlimited freedom for your home. They bring light to the inside and at the same time offer full view to the outside. Innovative solutions such as glass joints where the transition between the glass panes is virtually invisible, offer many possibilities in teh modern, large-scale glass architecture. YOu can set optical highlights with integrated windows in the style of your house.